Holy crap Kris! You are going to be a very busy man very soon. Need an apprentice? Thanks fellas. I sure hope I get too busy! Things are going well. Slow and steady wins the race when building a brand. I'm committed 110% to making this work. 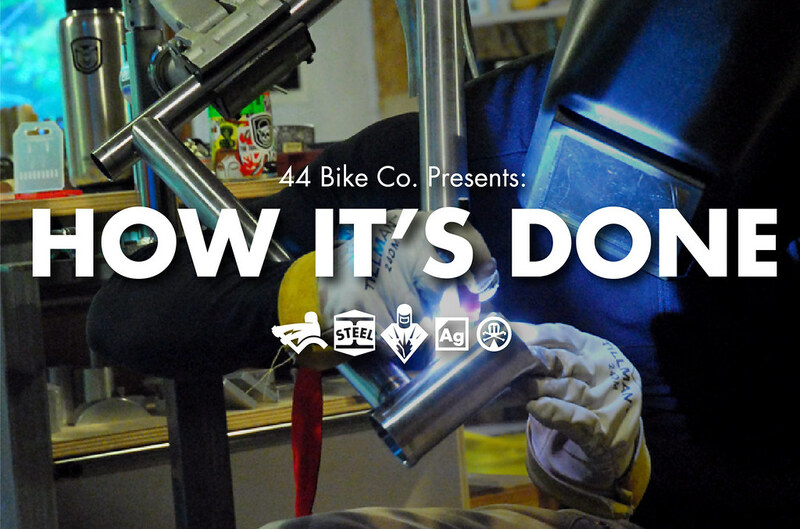 For all your viewing pleasure: A step by step Flickr set of how I build a frame from start to finish. This is a combination of images from a bunch of different builds. As I take additional shots that are relative that cover some details I may have missed, I'll be sure to update this occasionally. Till then, enjoy! I have a question - when you do the tire crimps on your chainstays - how thick is the thinnest part of the crimp, like the width? Looks like you're using .75' x .035"? Just interested in your methodology - I come from years & years of riding trials bikes so I look at yours & think "Yeah......I can see what those bikes are for"
How about the flattening 1/2 way down the length of the say - for good flex? Hey Steve - Good questions and I'm happy to answer them. 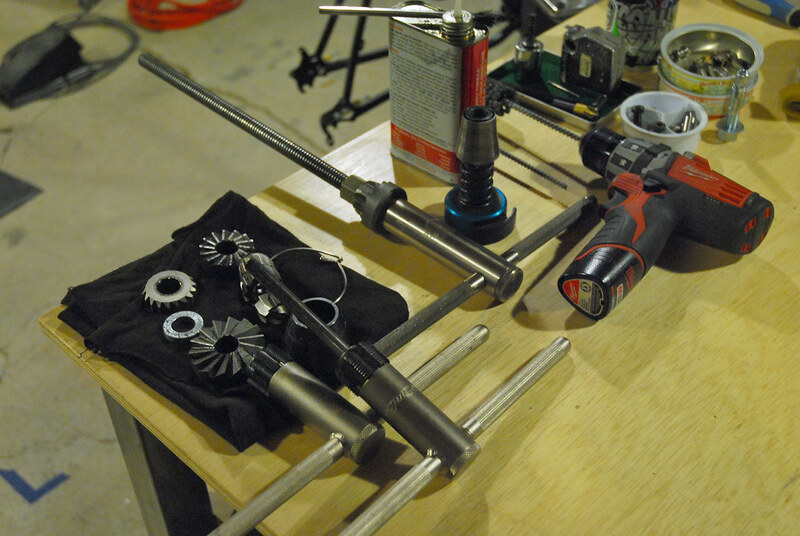 Chainstay Dimple Technique: I have a set of dies I've made that have different radius's in aluminum which create the dimple. I have a pair of maple and douglas fir backing blocks that fully support the backside of the chainstay at the dimple. 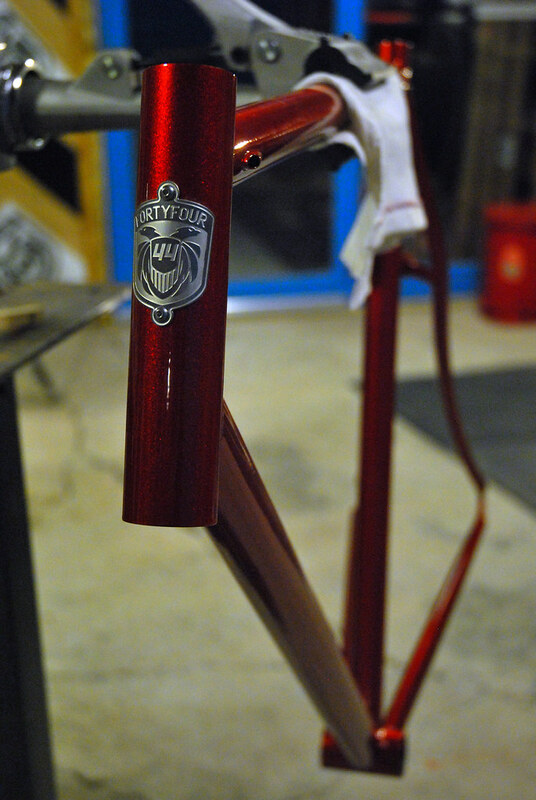 It mirrors the shape of the chainstay pre-dimple. 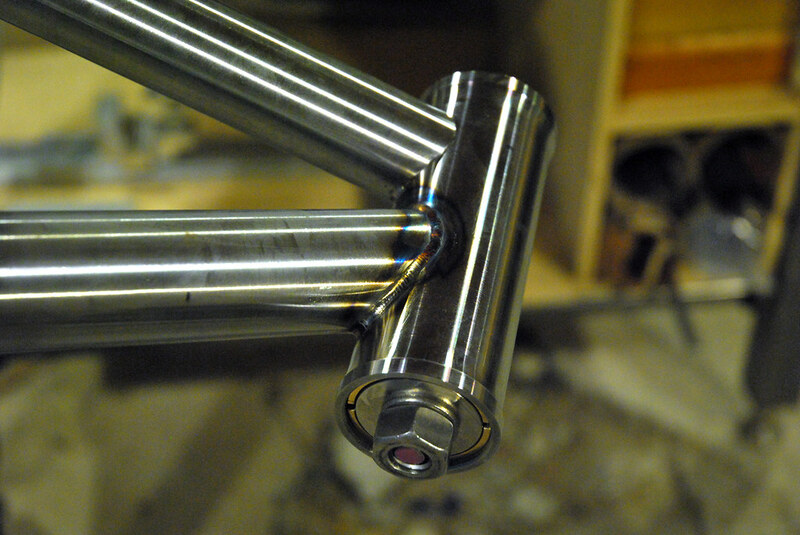 With that organic material as a backer, it does not flatten/transpose anything onto the chainstays backside. 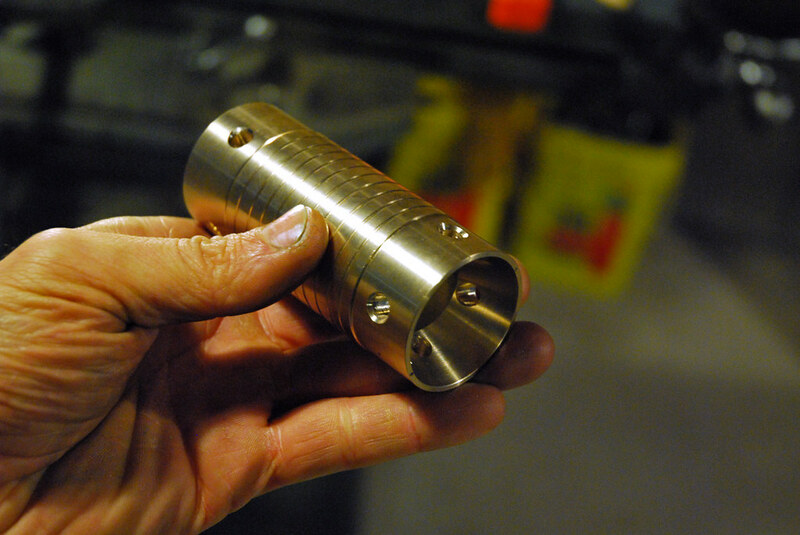 This is also made to fit the radius of the tube's OD (correct - .75" OD x .035" wall thickness). 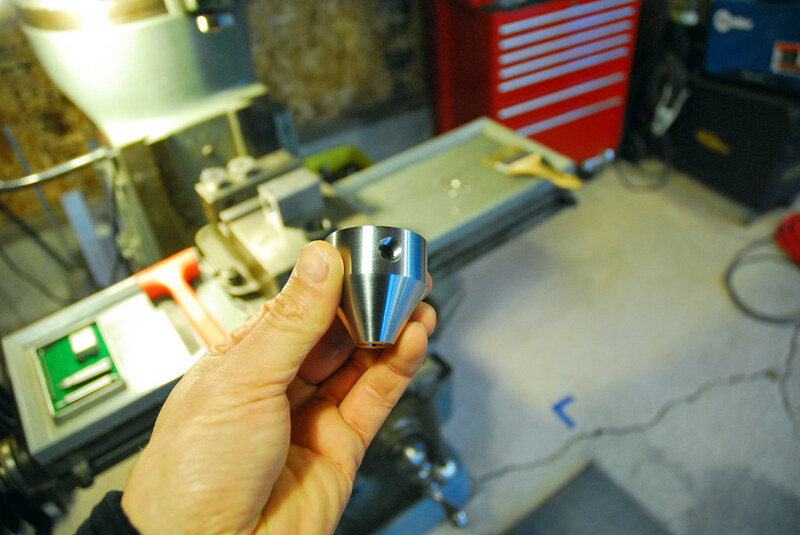 These are inserted into a vise, and in conjunction with a stop, I simply press the dimple into shape. The thinnest part of the dimple is typically .50". 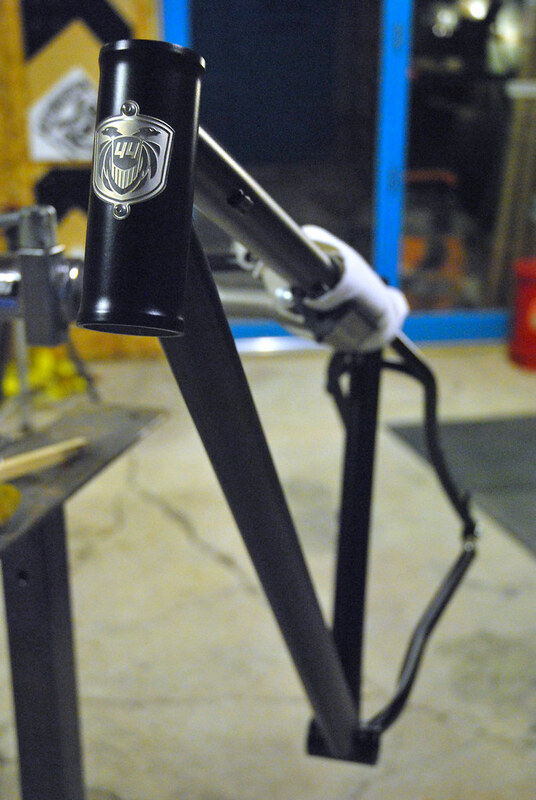 I also accommodate for the additional bend that it gives to that end of the chainstay as it does increase the bend. So I typically bend them in their raw state to about 10 degrees. When finished it's approximately 12 degrees. 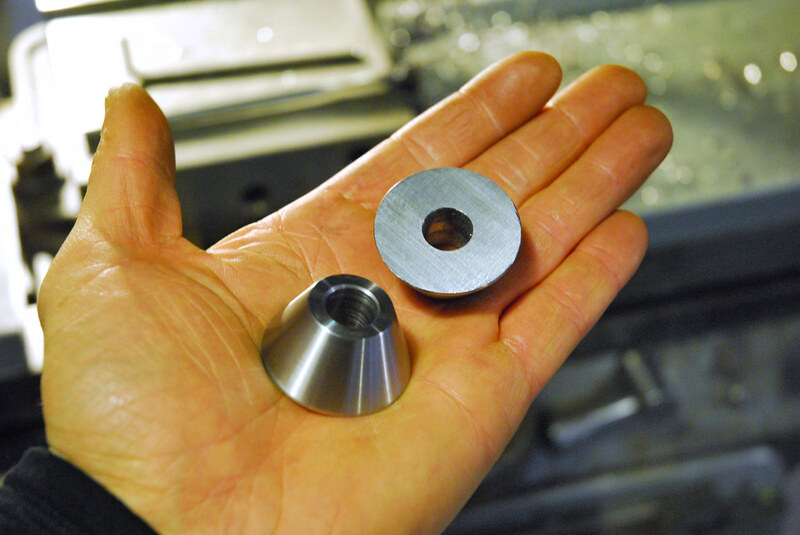 I'm going to be rebuilding this set of dies in the new year with some improvements on repeatability. I'll be sure to share that when they are finished. 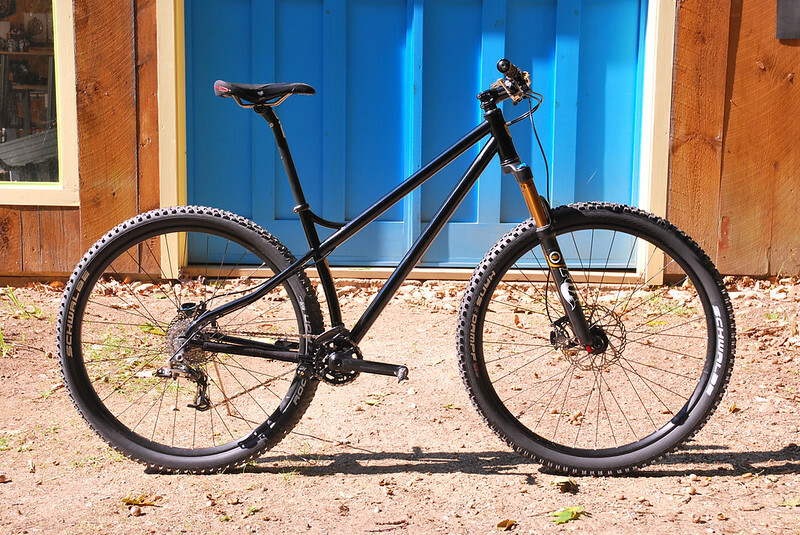 But chainstay length is only part of the equation really (as I see it). 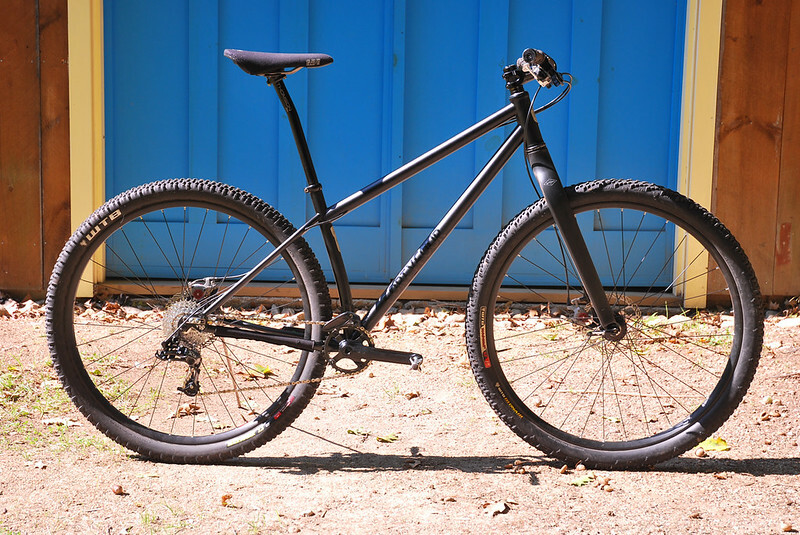 This needs to be weighed with head tube angle and bottom bracket height to name a few. 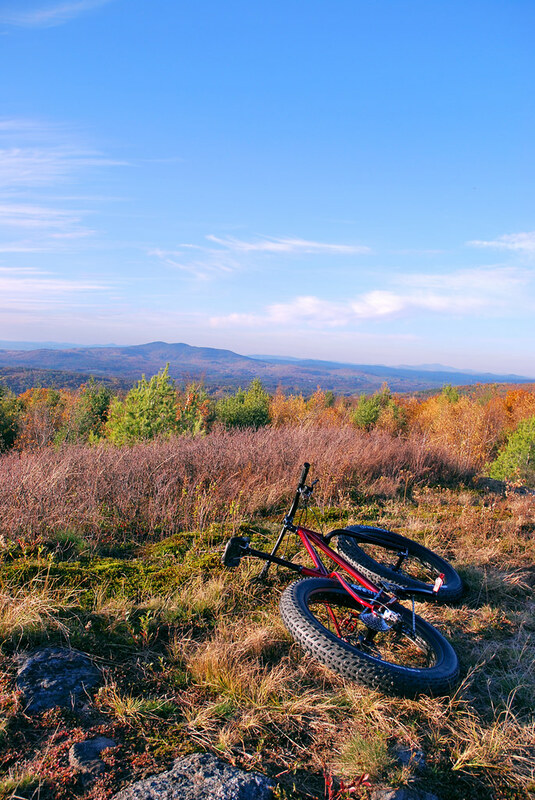 These factors as well as a few others all work towards how the bike handles. Being able to fiddle with chainstay length, bottom bracket height and head tube angle naturally gives me that opportunity to hone the ride that much more. Those 3 factors I weigh heavily in conjunction with where the rider sits in space between the wheels. You just made Futura cool again. Nice stuff! Which in turn builds organic machines. Who's making your headbadges, Kris? Beautiful stuff. 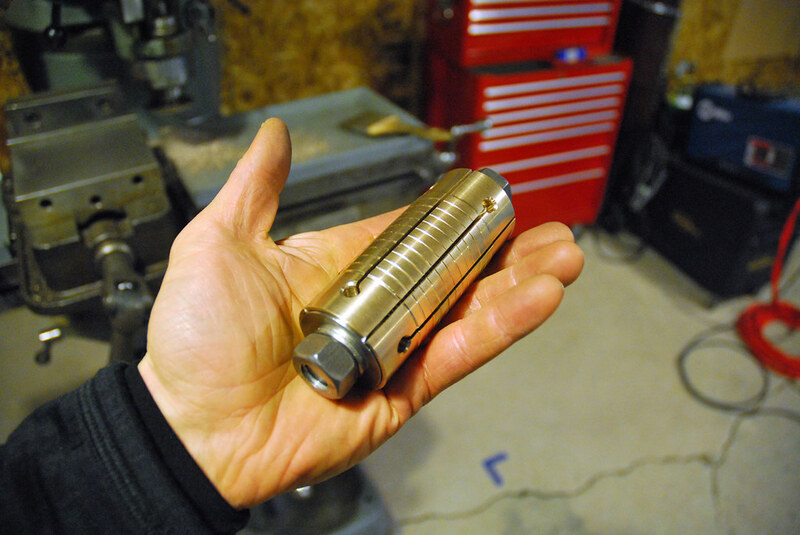 I also love the little felt lined tin you have the HT spigots in. Gotta have little boxes for the do-dads. Thanks! Aculine out on the "other" coast makes my badges. 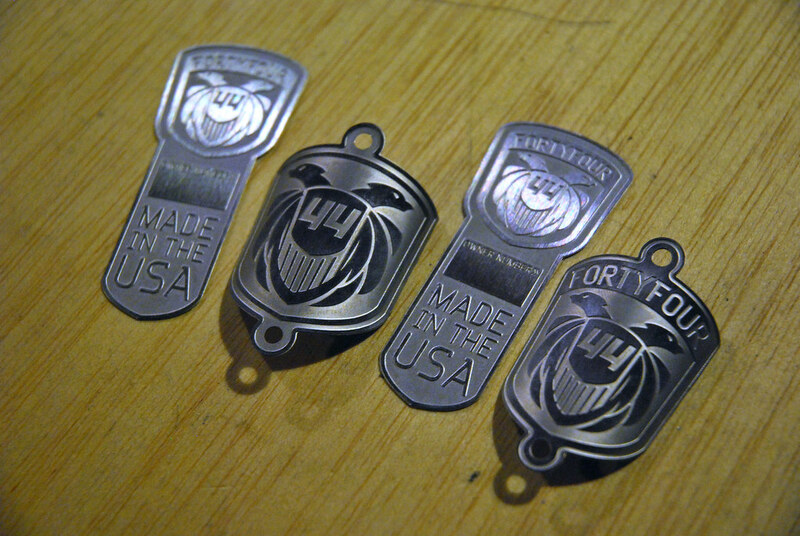 The felt lined tin's are home made. 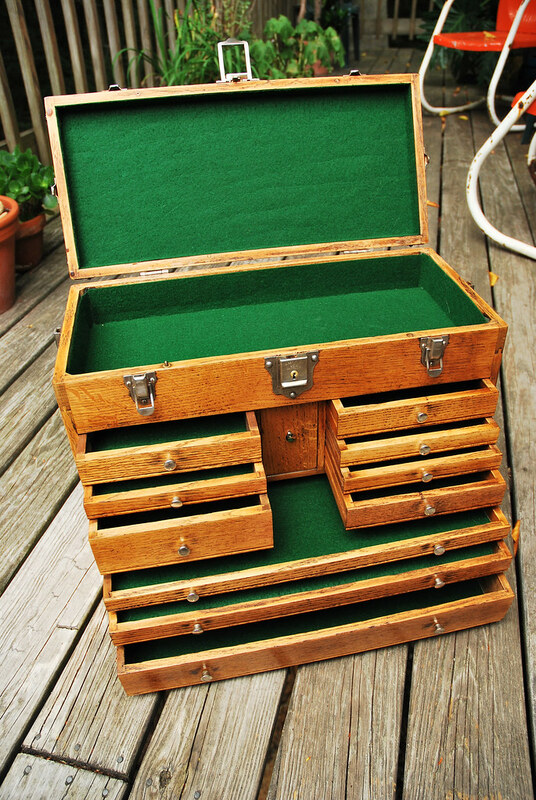 I took apart a few cool tins my mother gave me and lined them with left over felt from refinishing my Gerstner machinist chest. These are actually the lids. 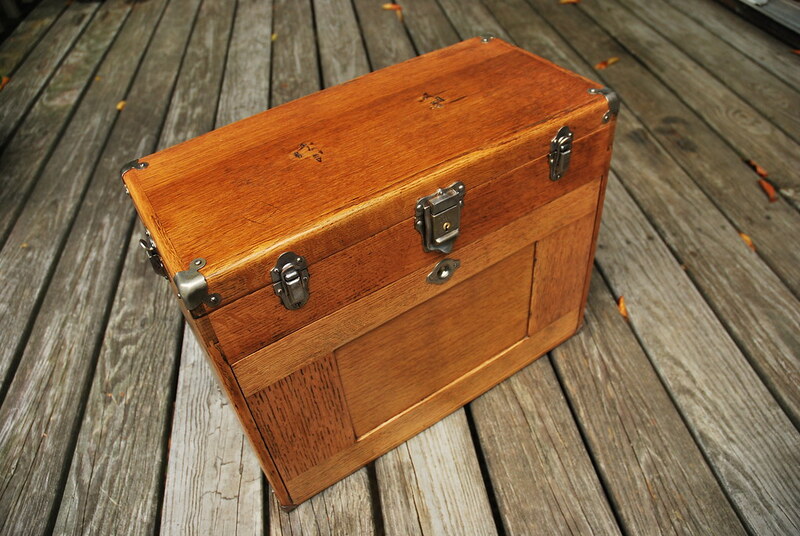 I love little boxes and things like that to put stuff! 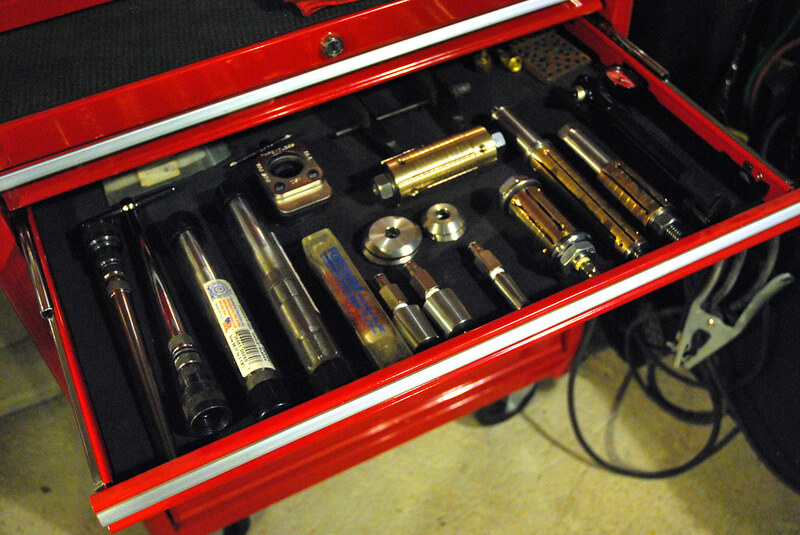 Nice job refurbing the toolbox. It looks great. Any idea how old it is? 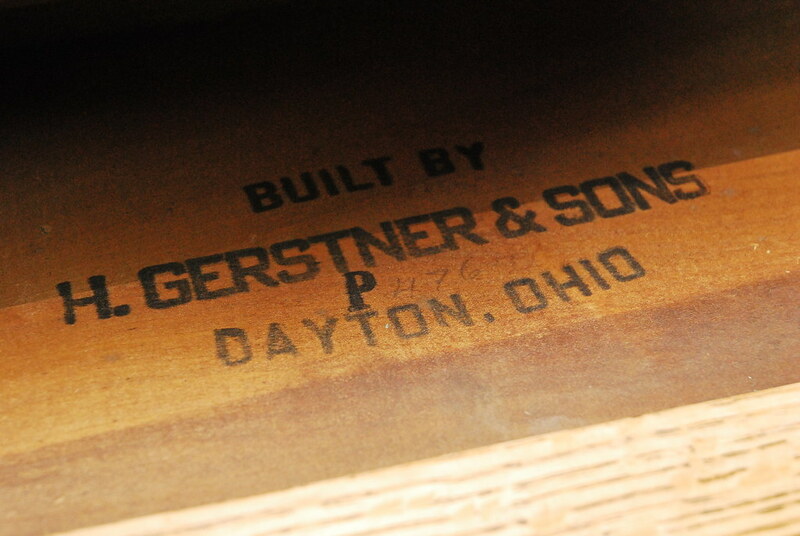 I put up some pictures of a Gerstner one of my customers gave me over in the toolbox thread. Curious to know when they went away from the aluminum Machinist Handbook drawer. Thanks. 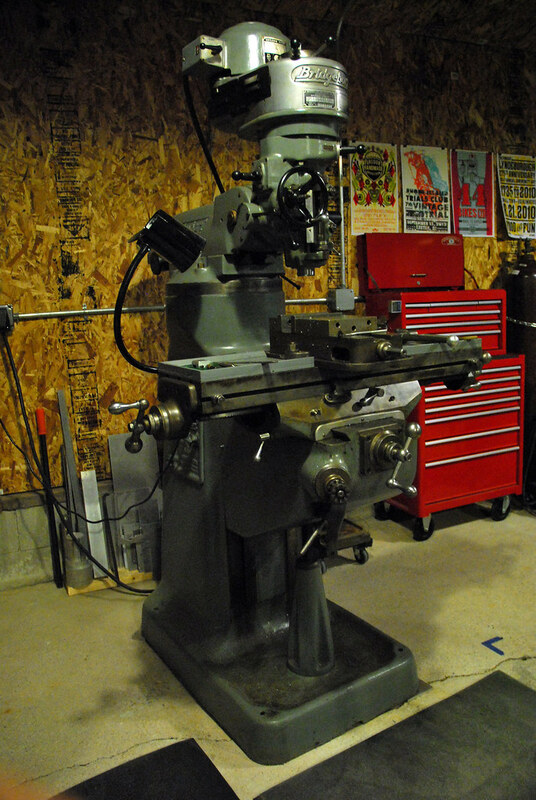 The fellow I purchased this off of was a retired machinist and it was one of his fathers. There were a few for sale (Picked it up in Ma). I "think" it was from the 60's or 70's if I recall correctly - But the fathers father was apparently a machinist too. Long line of machinists. They still make a slightly similar version in their current Model No. 52. 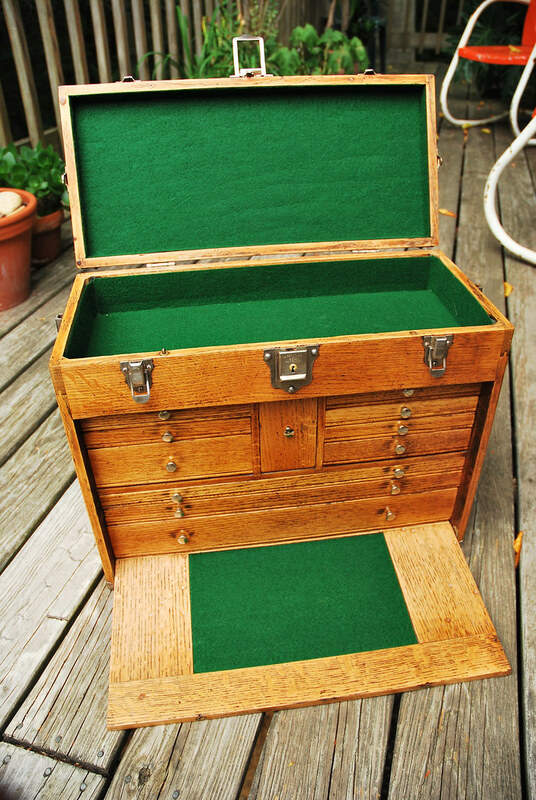 This one's center drawer is aluminum. (I did not realize that is specifically what the drawer is for...) My 18th edition fits snug as a bug in a rug. Very cool! 8th edition, eh? 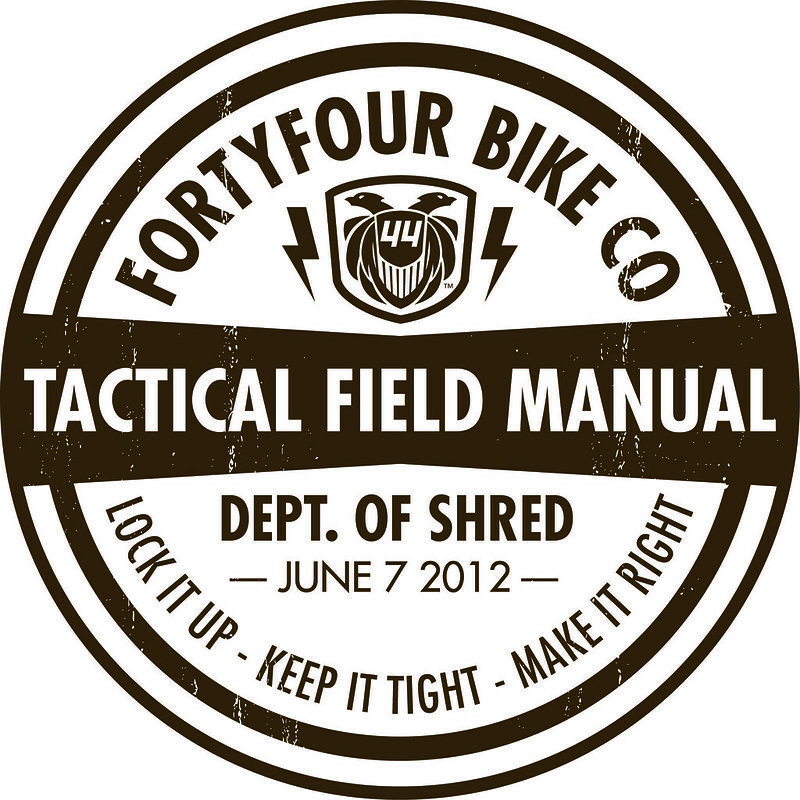 And I thought the 14th edition that was in Frank's box was old. 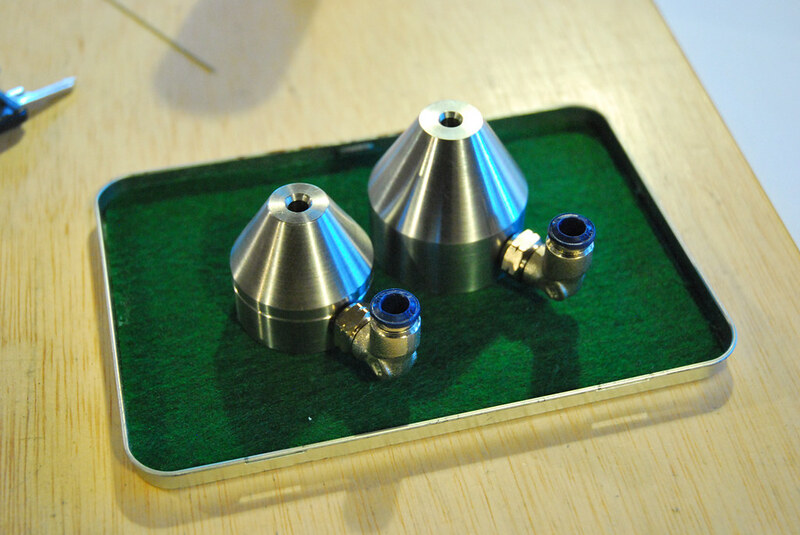 Did you order the top handle from them yet? I love that you can get replacement parts. I corrected my post - I accidentally missed the "1" in 18th... Apologies. 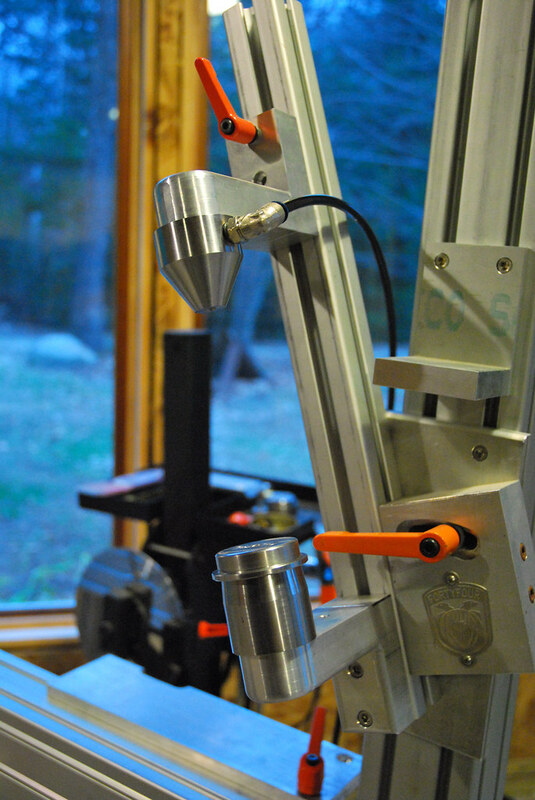 I have not ordered the top handle yet - I will most likely order it when I install heat in my shop. Too much temperature swings for my nice precision stuff to be down in there! I pull what I need for the day and then return it here in the home studio. The fact that they still offer replacement parts is cool indeed. 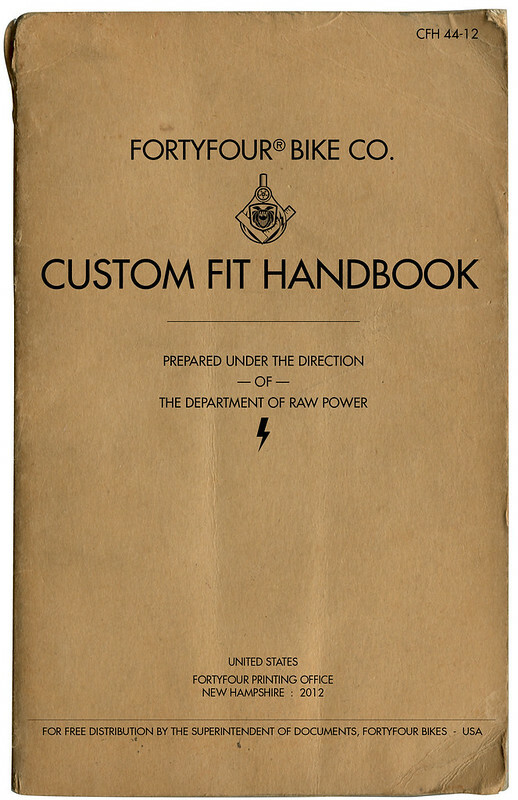 For the Discerning Cyclist: New 44 Custom Fit Handbook now online. Should make things a bit easier. Download yours today and let's get started building you that ultimate build!